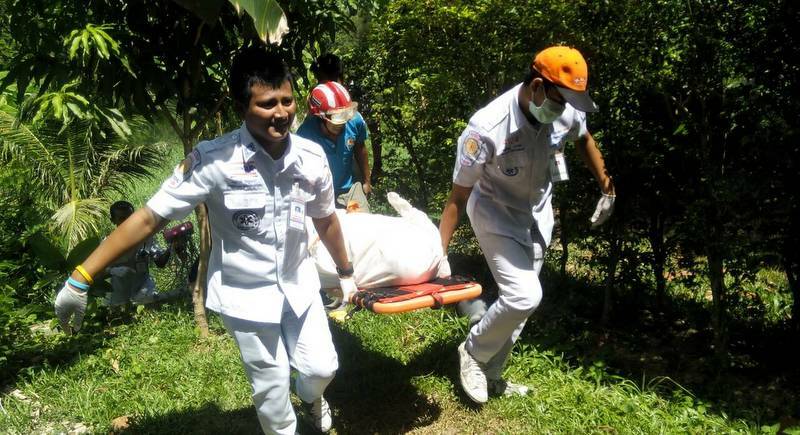 Lt Sawanya Eidthrong of the Thung Thong Police was called to a lagoon off Wichit Songkram Rd at 12:40pm after a local resident discovered the body floating face down in the water. “The victim was about 170-175cm tall. We believe he died at least three days before his body was found,” Lt Sawanya said. “We also found a pair of black flip-flops and a fishing net nearby, but no items of clothing. We are not sure if these belonged to the man,” he added. Officers found no obvious signs of injury or assault, Lt Sawanya said. “The body was taken to Vachira Phuket Hospital for confirmation of the cause of death,” he added. Police are specifically investigating whether the body is that of 24-year-old Muhammad Hakiki from Indonesia, who was reported as missing on Saturday. “Mr Hakiki was last seen on the night of May 7. He was a trainee at a hotel in Patong and was staying at accommodation provided by the hotel which is not far from where the body was found,” Lt Sawanya said. “One of Mr Hakiki’s friends has already inspected the body, but insisted that it was not that of Mr Hakiki. “However, we are not convinced as the condition of the body made it almost impossible to identify, but we will see what doctors can tell us,” Lt Sawanya concluded.